“It will cost you 2200 rupees, ma’am,” a shopkeeper says. “2200 rupees for an adapter?” I ask once more, and I am not sure whether those are the rupees that worry me or the fact that this comes in the worst time possible: my life in India is unsettled as never before, I am jobless, I have debts to pay, and I have not yet found my own place to stay. Not to mention the internet. I have been away from emails for three weeks, so when I am finally planning to catch up, my laptop charger does not work. Peace Revolution Fellowship in Thailand was a rewarding experience. But how to cope with problems that fall on your shoulders like hail after you have returned to the outside world? Sabai, Sabai. I say to myself and try to remain calm. Isn’t it what we learnt during the Fellowship? In fact, when I left for Thailand, I knew it can bring me a life changing experience. So dwelling on that thought, I did not worry about anything else afterwards – as if I would suddenly find myself in a totally different life. In reality, my life was the same. What changed was the way I looked at it. The place where I have arrived to fix my laptop is shabby and dirty. 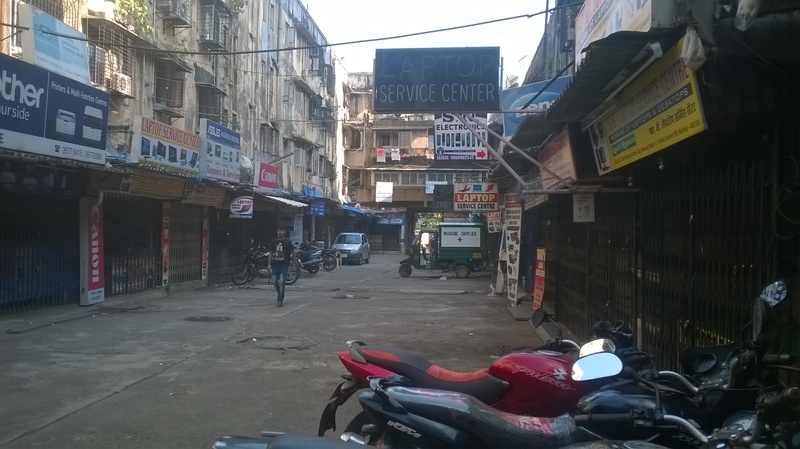 It is a laptop repair centre in Andheri East opposite Navrang Theatre. There are tens of small laptop stores arranged in two lines looking at each other. It is like a small cyber valley. The shopkeepers sit in their tiny shops struggling for customers. Mumbai is that kind of a city: rushy, noisy, busy. People fail and fall, then they wake up next morning and continue their struggle, continue hoping to hop on opportunities that would change their lives. A friend of mine recommended me to come to this place. I do not check all the laptop stores, but go to the very first one in the line. The shop assistant is immediately ready to listen to my problem. Then he takes my laptop charger, goes to another shop and asks me to wait. After some time, he returns with a shopkeeper who announces the following: “Your laptop is alright. You only need a new adapter,” he says looking at me with his deep, brown, a little concerned eyes. Once I have learnt the price, I suspect it is too high, but I am tired to argue about it, to compare with other shops or check on the internet. “Ok,” I tell him nonchalantly and take out the money. “Not required now,” he says. His question suddenly stops my thoughts. It breaks the formality of the complex customer and client relationship. It sparkles a light of hope and brings me back to the present moment. It testifies that behind those roles we play every day, we are human beings at first. 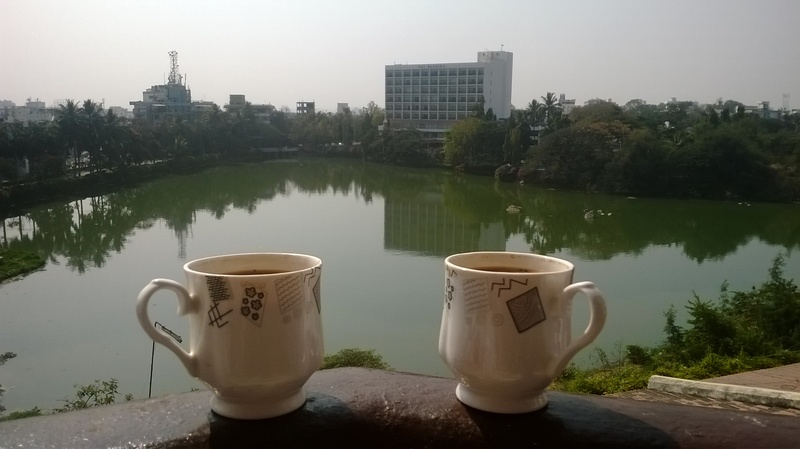 Over a cup of milky Indian coffee, we talk about life in Mumbai, and I even mention the Fellowship I have just returned from. When we are done with the coffee, the news about my laptop charger arrives. It seems I cannot get it on the same day as they have to order it from another store. So, I should come back next day after 4 pm. I would normally get irritated because that means spending another day without emails, but by this time I have already let my anxiety go with that cup of coffee. I pay the shopkeeper the requested 2200 rupees without fearing I am doing it in advance. He writes me a check, and I leave. Next morning I am kicked out of the temporary place where I am staying. So, I am on a street with all my luggage. No idea what to do and where to go. I should probably find an internet café where I can look for an accommodation for a night. There is one across the street. But it’s hard to move with my luggage, and a street vendor tells me it’s open only after ten. Then a sudden idea sparks in my mind. Though I remember clearly that I am supposed to pick up my laptop charger after 4 pm, I suddenly feel dragged to that laptop repair store, that guy who gave me coffee, that time we spent talking over the coffee. In fact, he becomes my only hope in the situation that would normally make me turn into desperation. But for some reason, I breathe in and out, and deep inside I know that things will be alright. I get on a rickshaw and go to the laptop repair centre. When I reach it, all the shops are still closed. The seemingly early morning reveals dirtiness of the place with garbage scattered all over the ground. Yet I fearlessly walk in, find an old, dusty stool and decide to sit there for a while. I observe people walking through the gate to get to the opposite street. Shopkeepers arrive one by one and idly open their shops. I am waiting for that one guy who gave me coffee yesterday. He would certainly remember me. Yet I don’t see him, and I assume he might arrive only at 4 pm. So I decide to go out and look for an internet café. It is hard to cross the street with my luggage. Impatient rickshaw drivers honk aggressively and stop in anxiety to pass by me. But I am persistent in my search. As I have crossed the street, I ask for an internet café to the local street vendors. Nobody knows. So pushing my heavy luggage along and my depressive thoughts aside, I return to the laptop repair centre. I no longer want to sit. I boldly walk in and stand in the middle of the street that connects both sides of shops. Stand and wait. Stand and look ahead. Stand and meditate. Then, as if being heard, I discern him – that guy from yesterday, his round body and tousled hair, and deep, brown eyes. “What happened?” he asks me as he walks to me. “Come, I have another shop,” he tells me and guides me to his shop helping me with the luggage. I walk inside a tiny office with a desk and soft couches. “Sit down,” he tells me, and I sit. “Coffee,” he orders to one of his assistants without asking me if I want to. But surely I do. “And now tell me what happened. Why have you come so early?” he asks. I tell him the truth. He allows me to wait in his office until my laptop charger arrives. He even gives me his own laptop so that I can pass time using internet and respond to all the urgent emails. A few hours later, I get my charger. Now he sells it to me for the retail price – 1600 rupees instead of 2200. Kindness at its best! Previous PostPrevious How to Reduce Anxiety? Next PostNext Can Meditation Help You Better Deal With Depression?